M finished her first 1000 piece puzzle all by herself! Color Palette is complete after 11 days! We gave animation another shot this weekend using this puzzle. I have been making steady progress on The Triumpth of the Spanish Habsburgs. I will finish it this week and finally get back to Wedding Feast! In other news, M and I spent the whole day at the beach yesterday. We started off with a 4ish mile hike down to "Mermaids Chair". 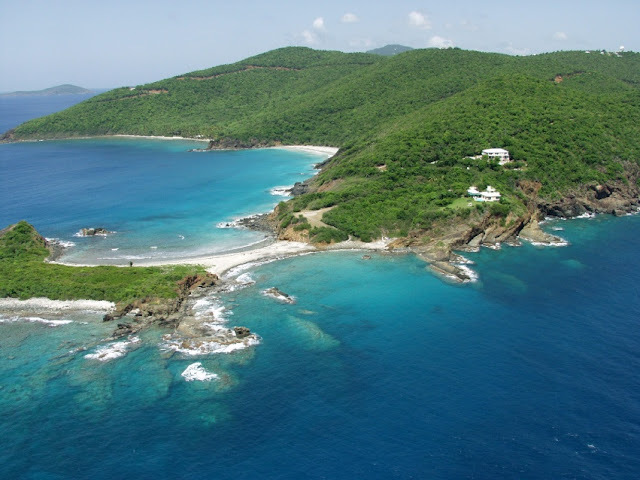 It is a small strip of land (about 15ft) that connects the main island of St. Thomas to the tiny island of "Little St. Thomas". 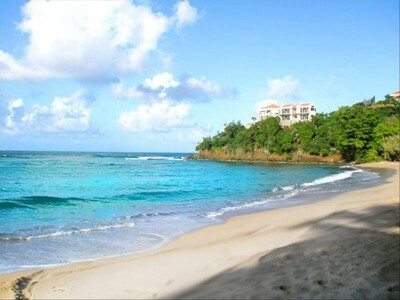 On one side of the strip of land is the Atlantic Ocean and the other is the Caribbean Sea! After a quick snorkel and some rock collecting, we headed to Neltjeburg. This awesome little beach is at the end of the worst road in America. It is partially paved in parts, but will tweak your car so hard in others you swear you will never get out of there! The reward is a great spot to waste away an afternoon or two!